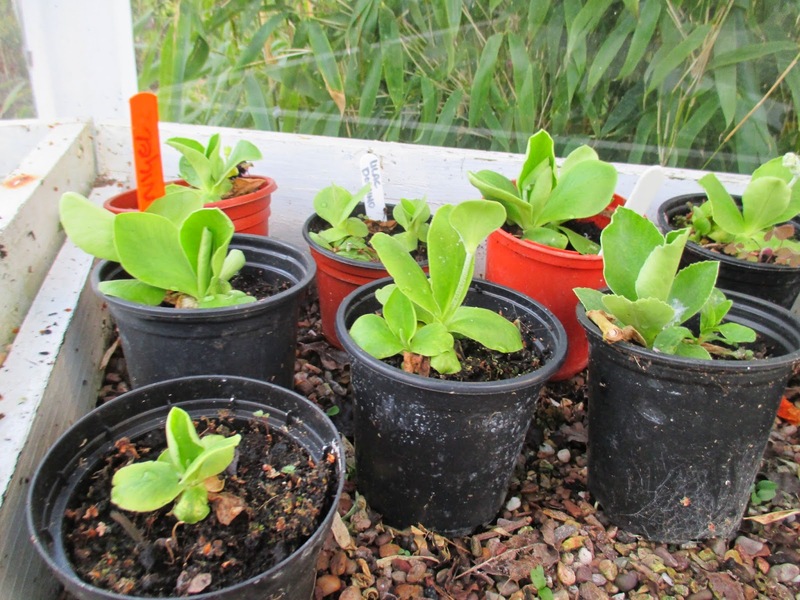 Hoe hoe grow: The Marmite of the plant kingdom ! 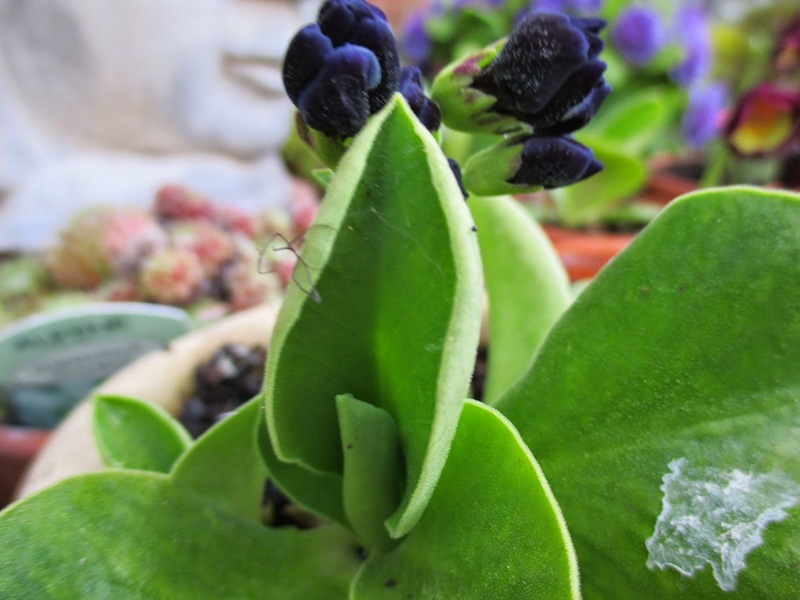 Haha, I adore Auriculas and my husband hates them. I've written about them every year in April and at the moment they start flowering again. As I display them in the greenhouse, I smell the lovely fragrance when I enter. 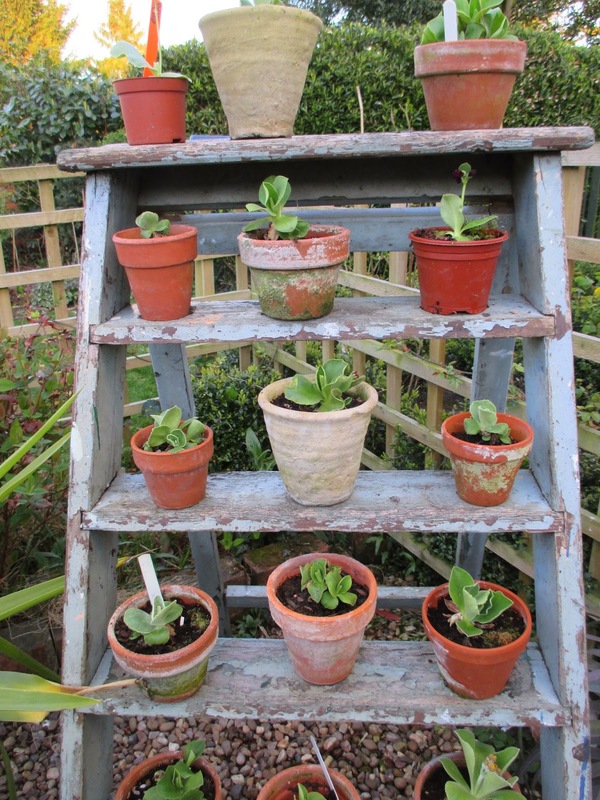 May be I ask my husband once to make a real Victorian Auricula theatre but I doubt he will do it. They look nice on the old steps outside, but the doves make me smiling, they hate them too, especially on top of the steps. Wish you a happy new gardening week! Hi Janneke and thanks for your comments! 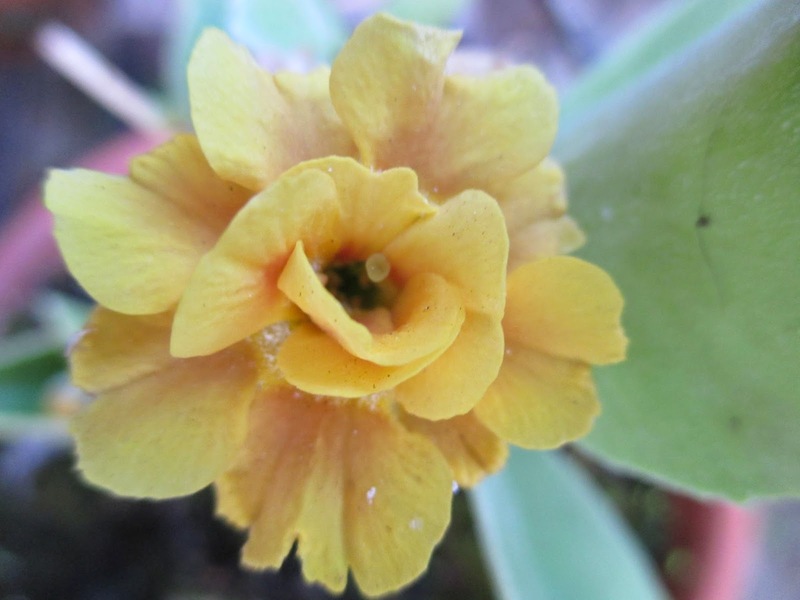 I look forward to reading about your Auriculas ! I love them but lots of gardening friends don't. I have a new flower out today 'Averil Hunter' - so beautiful. Do you have a favourite ? This lovely flowers and I do not understand why some people do not like them. Regards. Hi Giga. 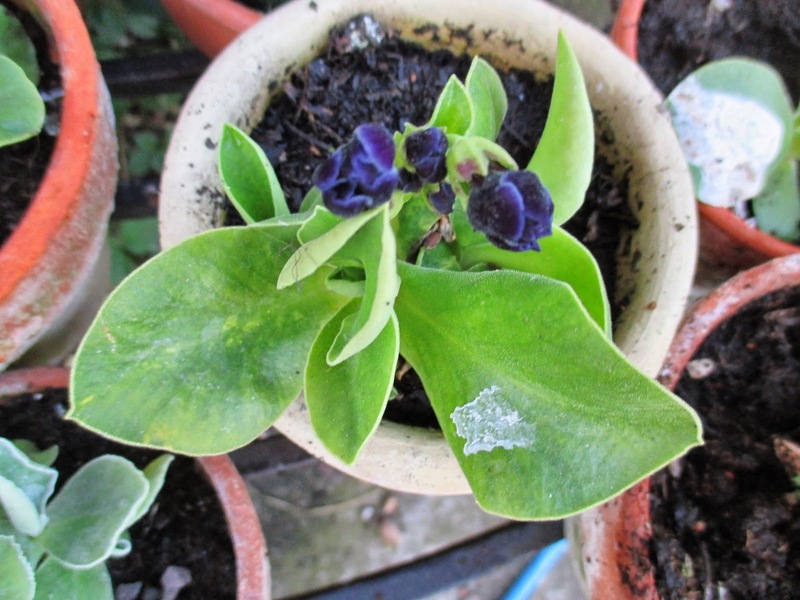 I must admit that I didn't appreciate the attractions of the Auricula for many years!! Talk of marmite has me heading off to the kitchen. Love the stuff and now I'll have to have some. 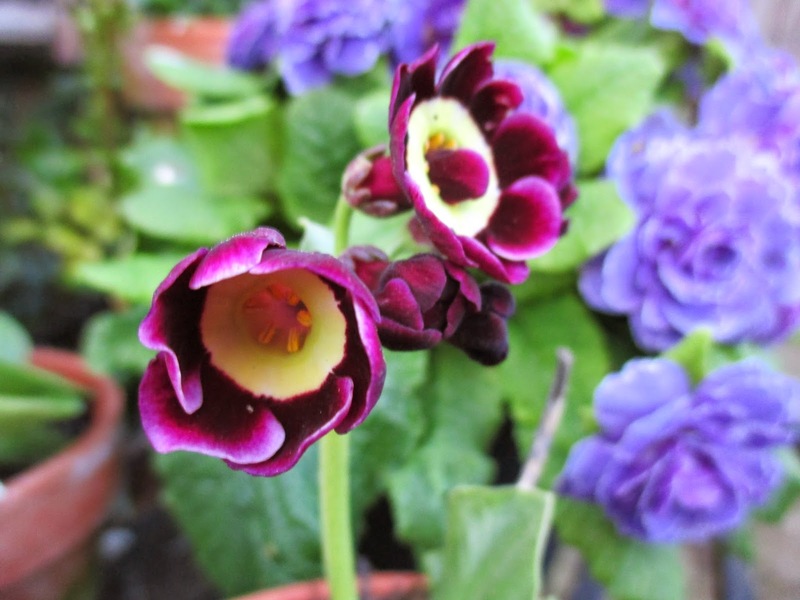 I love auriculas too but sadly they do not reciprocate. I've never been able to keep one alive. Interesting that you have yours in the greenhouse, I'll have to try that next. Doesn't it get too hot? Me too ! Marmite on toast is one of life's pleasures! 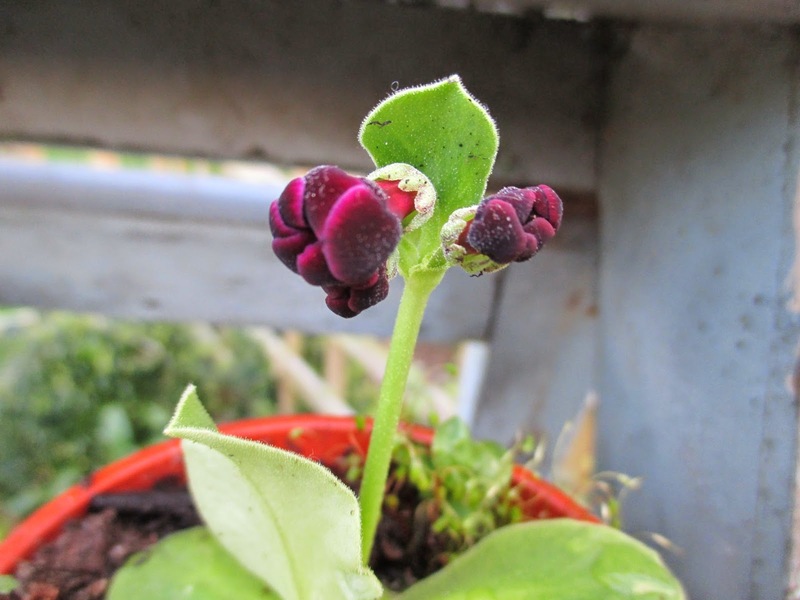 I wonder why Auriculas do not love you as you love them? I have found them very straightforward and easy to keep, but, you know how it is, some plants fit right in and others never seem to settle. Bit like people I guess ! 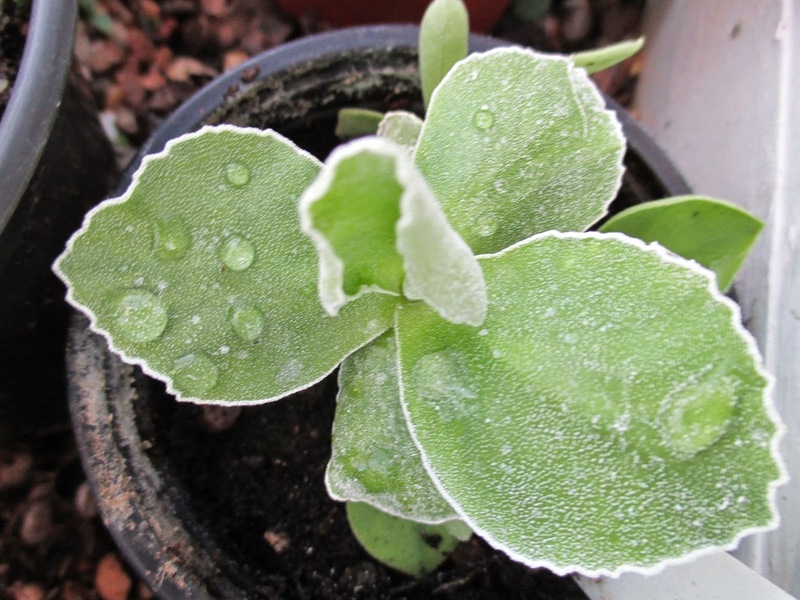 I have had many other plants which have died long, lingering deaths in my tender care !! Ha! Great comparison. 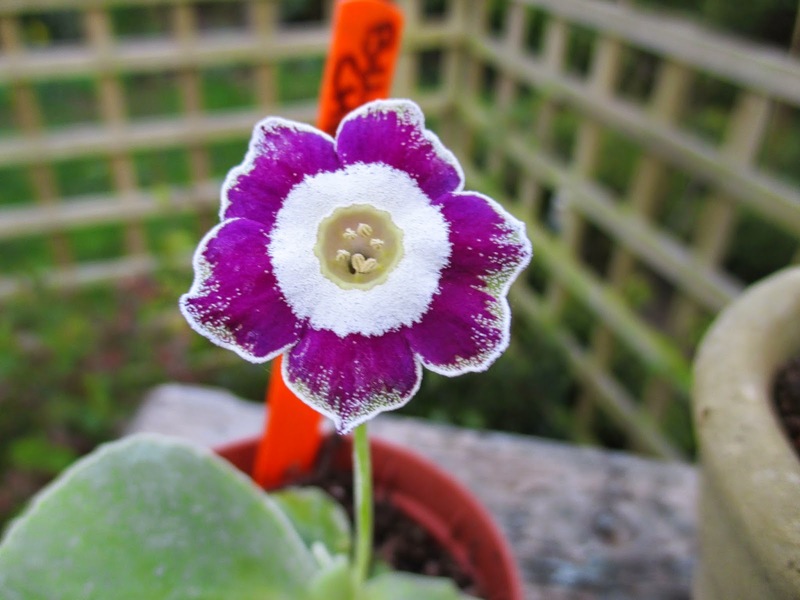 I don't have any Auriculas, myself, but I do think they're interesting plants. You have a great collection! Hi PP , must have more ! I have an urge to keep collecting! I am looking out for shows nearby so I can buy different varieties! Hi Nicole, and thank you for your comments. They are a most unusual bloom, and , as you say, they are so symmetrical. I love them, I can' t understand how anyone could hate them. 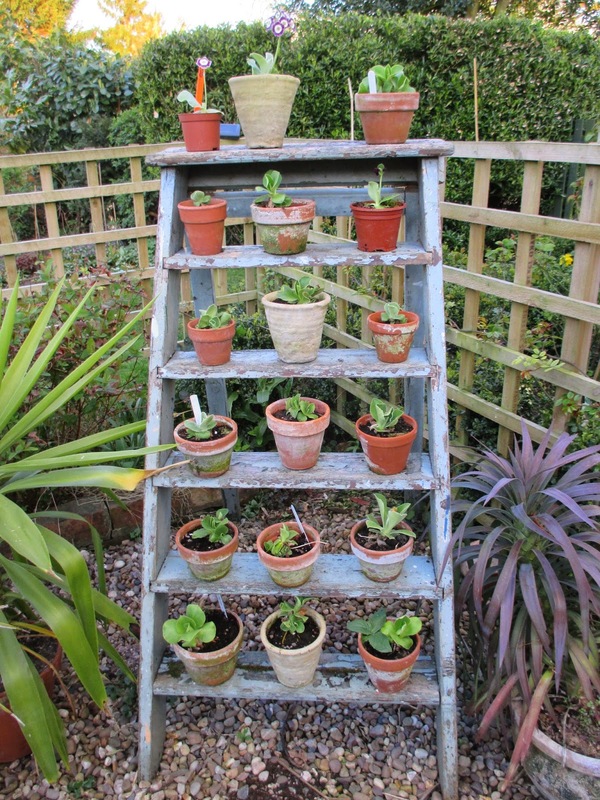 They are stunning.What a good idea using a step ladder as a theatre. The ones you sent me are doing very well and I am thrilled with them. Thank you so much. Hi Chloris, so pleased yours are doing well. Are they budding yet ? Some of the other babies are flowering but some are waiting until next year I think ! Beautiful & cute petal with a nice color...I never plant & see this type of flower in my country home before. Maybe not suittable with the climate..but I really enjoy the beauty! 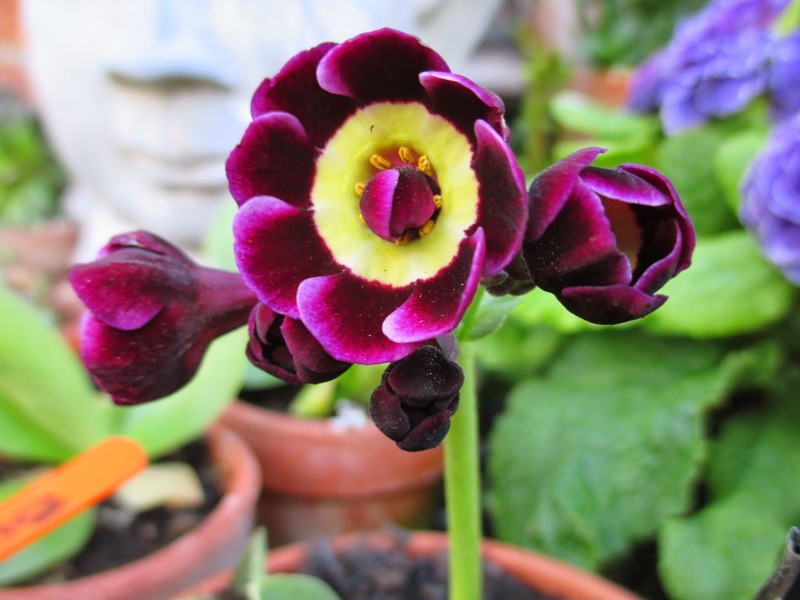 Hi Normala, I think Auriculas like a fairly cool climate, and are quite hardy. Thank you for your comments. Although I don't grow any, I can see the attraction. I think displayed in a theatre or as you have on those old steps you get the most out of them and when they put on their display, can be hard to beat. I'll be looking forward to your post when yours are in blooms. Good luck with keeping those pesky birds away! Hi Angie, those pesky birds might be rehired soon ! They eat all my plants then sit on the roof and seem to laugh! I like them two (although I only have one!) but I can see why one might not like it. They do look 'too perfect'. It is a bit like zinnas which are loved or hated. Hi Alain, I agree about them looking 'too perfect' , they look almost unreal! By some strange coincidence I am growing Zinnias for the first time this year, so, at the moment don't really know how I will feel about them. Are you a zinnia lover or hater ? 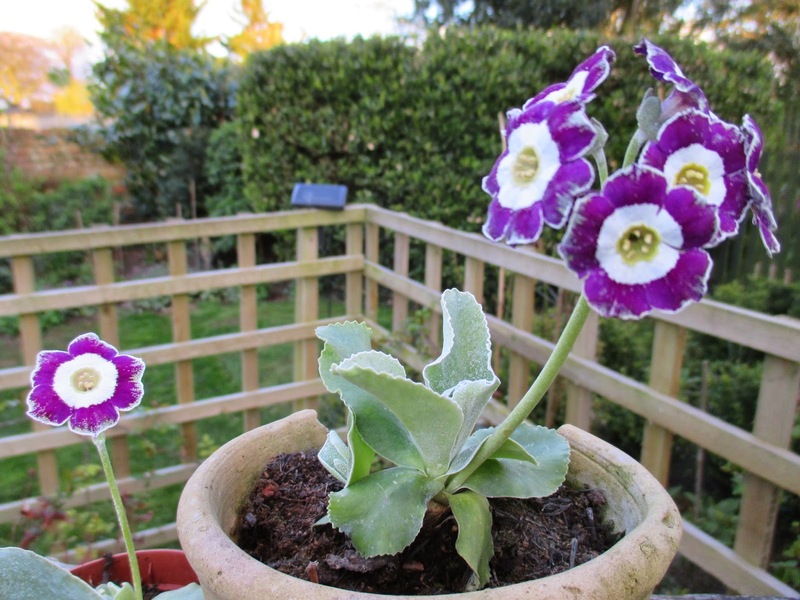 I only have one auricula to date Jane and a step ladder to display it in all its singular glory :) It's 'Late Romantic' and is fabulously scented. 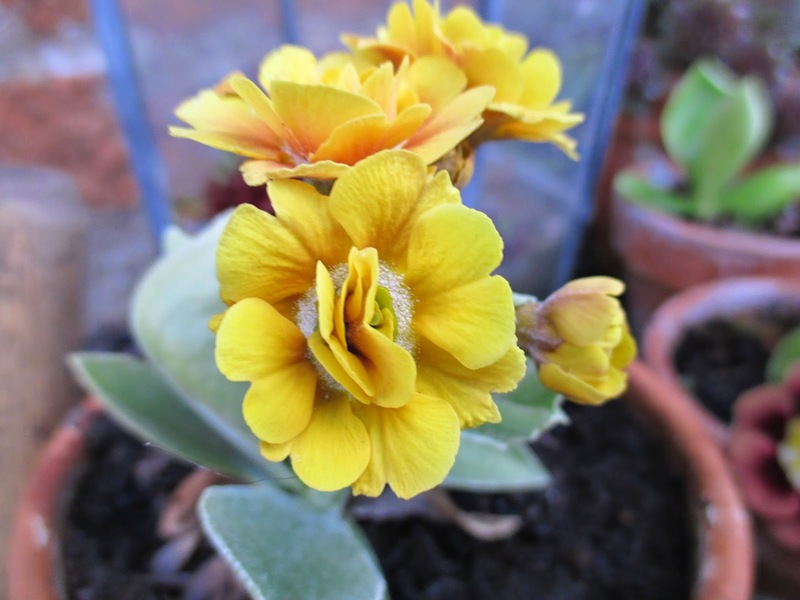 I had never given much thought to growing them until I saw an auricula theatre in the garden at Morville Hall and was absolutely entranced. 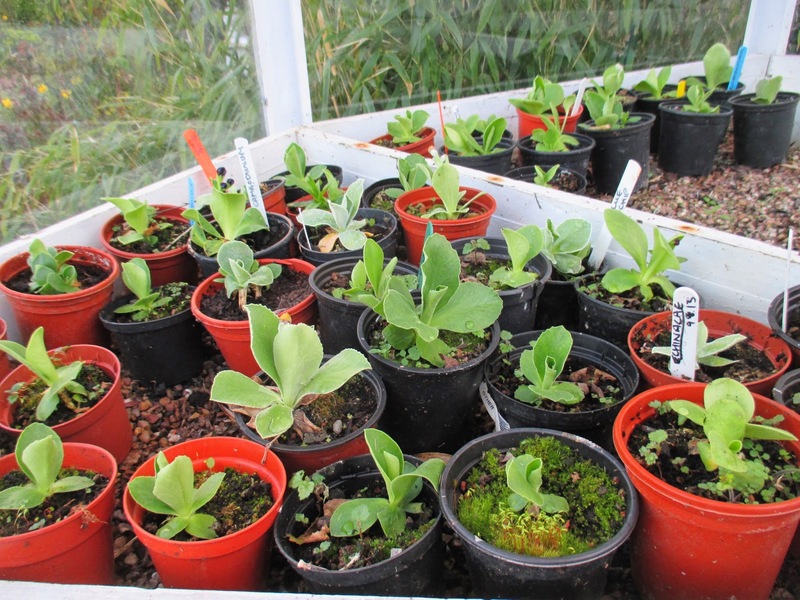 I would definitely be a customer for some of your auricula babies if you were nearer especially if there was a baby 'Nigel' for sale. Anna I will gladly send you a little Nigel and a friend or two as I have got loads ! If you email me your address to gardenerforallseason@gmail.com I will pop them in the post! How kind of you Jane :) Email to follow. 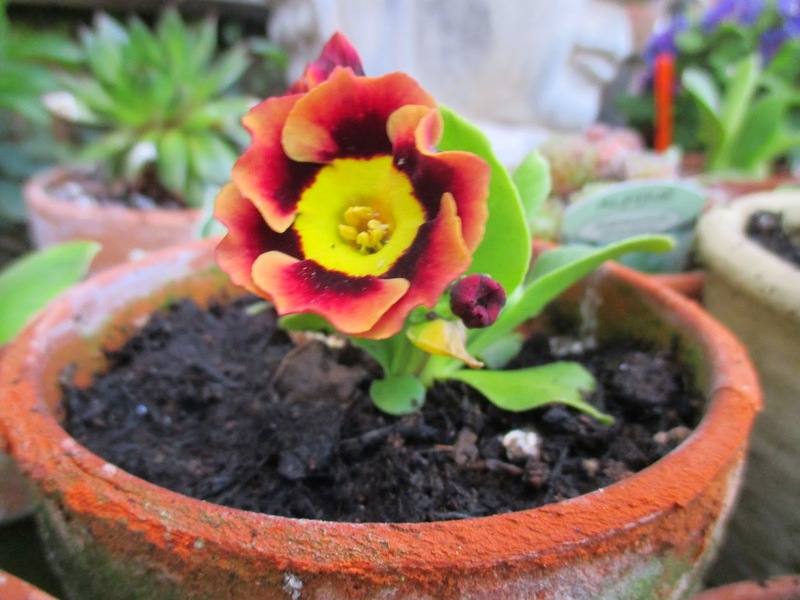 Auricula are very interesting and I love the history lesson....as you said, they're waxy or artificial looking....The colors are spectacular! I can't wait to see April Hunter in bloom! To me, they look like cute little monkey faces! I see what you mean about the monkey faces ! April Hunter is in bloom already! They look wonderful to me. I'm a fan of continuing historical practises when it comes to gardening. I feel like I'm tapping into the wisdom of all those marvellous gardeners. I love Marmite which makes me part of a small minority in North America where it is sadly underappreciated. Not appreciate Marmite ! What is the world coming to! We who love it must eat more ! 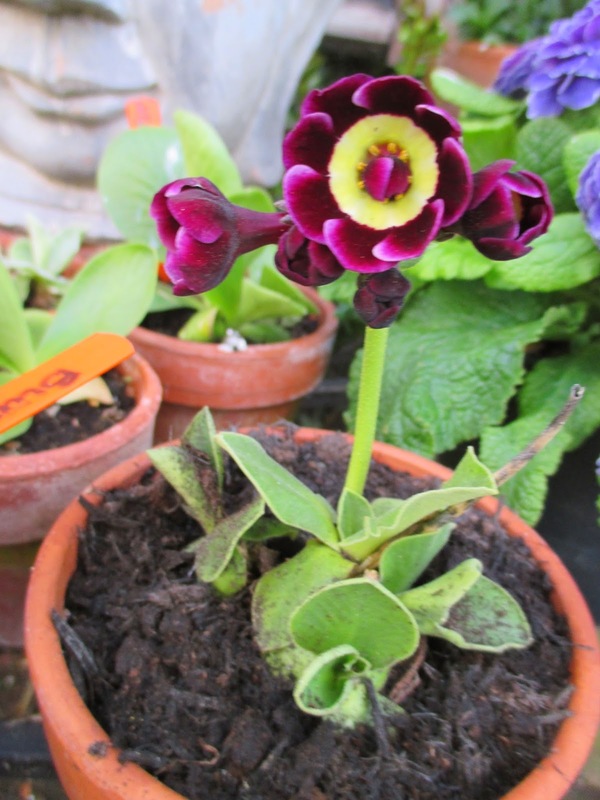 I do like auriculas but they are difficult to place in the garden other than as specimens in pots. Yes Amy, I agree that he humble histories are equally as interesting as the royalty, sometimes even more so. Growing these plants gives a wonderful feeling of continuity which I love. I think they're pretty enough, but I don't love them nearly as much as other flowers, and I think you've hit the nail on the head as to why. They are too stiff for me. Strangely enough, some look even fake to me, flowering in such perfect round bunches like that. I do love how you've arranged them like that in pots, though. I think that's a great way to display them! Hi Indie, they do look almost artificial and so impossibly perfect . There is a stiffness about them . I used to dislike that about them and I don't know what changed , but I now adore those same characteristics ! I luv 'em and Marmite. A woman of taste !! 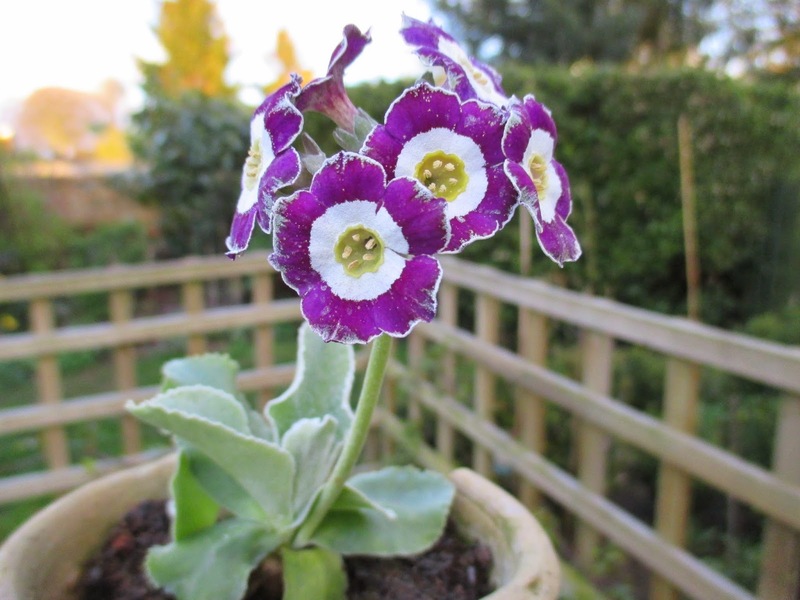 I am a Primula freak Jane, but somehow have never appreciated Auriculas, come to that I am not too fond of Marmite either.